Published in the Journal of the Netherland-America Foundation, Spring 2011. Perhaps foreshadowing the diversity of modern New York, the demographics of New Amsterdam (present day Manhattan) included Dutch, Africans, English, Swedes, Walloons, French Huguenots, and other European religious minorities seeking safety from persecution. According to one record, in 1643 a visitor to New Amsterdam would hear the sound of sixteen languages being spoken on Manhattan Island. There was, however, a notable and often overlooked exception to the long heralded tradition of Dutch tolerance: the settlers’ relationship with Native Americans and one man’s war that brought the colony of New Netherland to the brink of collapse. While Dutch traders had maintained congenial relations with the Iroquois Confederacy to the north, their interactions with the Lenape tribes who inhabited the areas surrounding New Amsterdam were marred by ignorance and conflict. 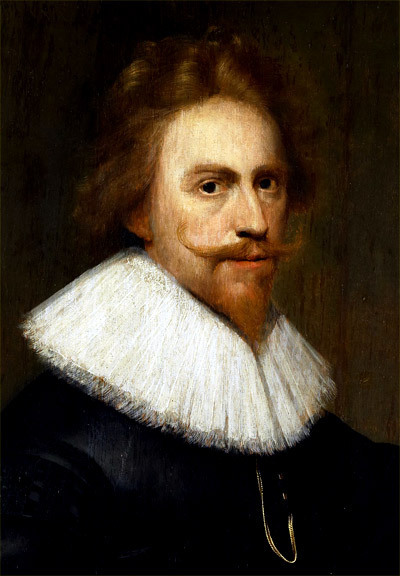 The deterioration of this relationship was accelerated by the arrival in 1637 of New Netherland Director General Willem Kieft. Kieft, whose authority over the Dutch territory was near absolute, ignited a conflict between the Lenape and Dutch characterized by unprecedented loss of life and property. In short order, he prosecuted the Raritan Lenape for an alleged theft of pigs on Staten Island (later proven to be unsubstantiated) and under the threat of force levied taxes on native tribes. An already bad situation made worse, the winter of 1642-1643 brought about the breaking point that disturbed the previously fragile peace. On February 23, 1643, Kieft, over the objections of several of New Amsterdam’s most influential citizens, ordered surprise night attacks on Native Americans encamped near what is now Jersey City and Corlaer’s Hook on the East River. One Dutch colonist condemned the attacks as “a disgrace to our nation,” but the match had been lit and the ensuing explosion became what is known today as Kieft’s War. The soldiers of the New Amsterdam garrison and several surrounding settlements were described by Dutch settler David DeVries as more of an armed mob “that wished to kill and plunder” than a professional military organization. Consisting of a band of West India Company “sea soldiers” recruited haphazardly across Europe and buttressed by a militia of merchants and tradesmen, in the aftermath of the massacres this ill equipped force proved unable to protect the settlers and collapsed beneath the weight of the Lenape counterattack. In retribution, Dutch traders lost their lives as far south as New Jersey’s Navesink River. As many as 1,500 Lenape warriors drove the Europeans from settlements on the west shore of the North (Hudson) River and then descended on Manhattan Island, killing scores of settlers and driving the survivors behind the walls of New Amsterdam. Many fled the colony altogether. Kieft soon realized that his monopoly on trade did not extend to a monopoly on violence. Fearing the worst, he enlisted the aid of Englishmen living adjacent to the Dutch colony. These emergency allies, 120 mercenaries under the command of Connecticut Captain John Underhill, were veterans of previous wars against Native Americans. Underhill’s men commenced a campaign against the Lenape characterized by barbaric acts of violence. In one such incident they surrounded a Lenape village in present day Westchester County, New York, and massacred nearly all of the 180 inhabitants. They set the village dwellings ablaze and tossed those who attempted escape into the fire. Underhill’s company provided the military experience the Dutch lacked but their actions marked a terrible low point in the history of European settlement of North America. Kieft’s War continued until both sides agreed to an uneasy truce in August 1645. Many prominent Dutch citizens of New Amsterdam, David DeVries among them, abhorred Kieft’s provocation and subsequent conduct of the military campaign against the Lenape. Their petitions to the States General were finally heeded when, in 1647, Kieft was recalled to Holland to answer for his actions and Peter Stuyvesant sent as his replacement. However, he was never held accountable. Willem Kieft, author of one of the darkest chapters of Dutch history in New Netherland, died in a shipwreck on his return home. Vincent Solomeno was a 2007-2008 NAF Fulbright Fellow to the Netherlands. An officer in the U.S. Army, he currently serves as a military historian. Joseph G. Bilby is the Assistant Curator of the National Guard Militia Museum of New Jersey and is author of a forthcoming military history of that state.